A few different styles exist of what we call “Yokai Picture Scrolls” or “Yokai Emaki.” Some tell a continuous story, like the “Night Parade of a Hundred Demons” (“Hyakki Yako”) and the “Inou Mononoke Record” (“Inou Monokeroku Emaki”). Others show pictures of yokai along with short stories, done in the “Hyakumonogatari”-style and were used to supplement the popular parlor game. Another type imitated the various scientific illustrated manuals of plants and animals, showing a single yokai per page with an encyclopedia-like explanation of that creature. This last kind is called “illustrated manual-style emaki.” In this style of emaki a great number of yokai were gathered together and named and identified. Although the illustrated-manual style is the rarest, it is surely thanks those emaki that we remain familiar with the varieties of yokai. Far more of the “Night Parade of a Hundred Demons”-style pictures scrolls have survived to the modern era, and so by necessity research into the illustrated manual-style has been limited. But in recent years, a few more of these illustrated manual-style yokai emaki have begun to surface and it is thought that at one time the books must have been widespread. Even now real research is ongoing investigating this style of emaki. Because of the limited number available, most research into these illustrated-manual style emaki focused on making an index of their important contents, on identifying and comparing the various images. One such existing emaki is held in the Fukuoka Modern Museum’s collection and is called the “Hundred Mysteries Picture Book” (“Hyakkai Zukan”) (A reproduction has been published by Kokushoukan Koukai publishers). Based the old writings of Yoshikawa Kanbo, the “Hundred Mysteries Picture Book” was drawn in 1737 by Sawagi Suushi, a pupil of the great Hanabusa Ichou. In total, it records thirty different variety of yokai, with a delicate brush work and it is considered the highest quality of the surviving illustrated manual style yokai emaki. 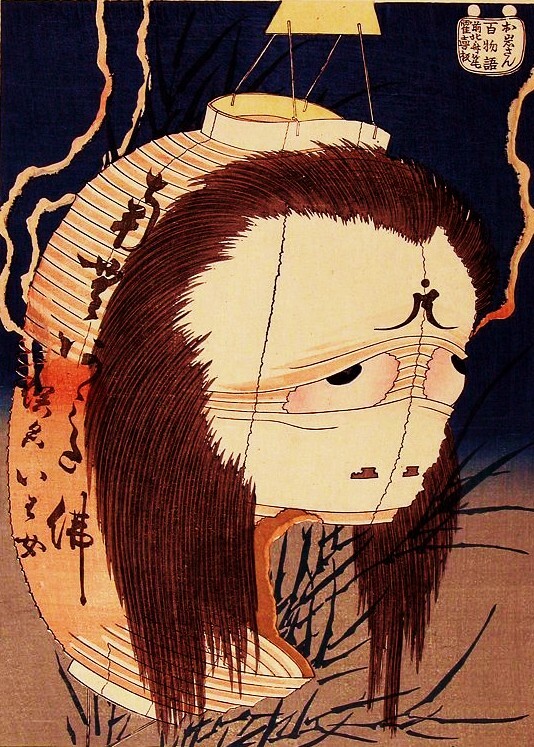 The yokai in the collection are almost identical to those found in Toriyama Sekien’s “The Illustrated Bag of One Hundred Random Demons” (“Gazu Hyakki Tsurezure Bukuro;” 1781), but when considered together the art work of the “Hundred Mysteries Picture Book” is in every way on a higher standard, and the scroll is a rare jewel. The yokai found in the “Hundred Mysteries Picture Book” appear in many other works. One excellent example is the “Night Parade of a Hundred Demons” (1832) emaki from the Mitsui Bunko collection in Yatsushiro city in Kumamoto prefecture. (Reproduction published as part of the Mitsui Buko collection). The scroll has the influence of Tosa Mistunobu from the Shinjuan abbey of Otoku temple, and is done in the style of what is known as “Shinjuan-yype Emaki.” This type of emaki has the yokai lined up in a wild, rampant procession that develops as the scroll is unrolled. This unrolling emaki was extraordinarily popular during the Edo period, and bears many similar traits to the “Hundred Mysteries Picture Book.” However, compared to the thirty yokai of that emaki the “Night Parade of a Hundred Demons” has almost double the number of unique yokai, fifty-eight in total. There are more yokai recorded today than are found in these illustrated-manual style yokai emaki, and the number seems to have grown with each new publication. There are some yokai that appear nowhere else except in these yokai emaki and were creations of the artist. Recently more consideration is given to the illustrated-manual style yokai emaki, but the Mitsui Bunko collection “Night Parade of a Hundred Demons” is still considered one of the greatest of its kind.